Following President Chen Sui-bian’s victory in the controversial 2004 presidential election, this book examines the future direction of Taiwan’s foreign policy, focusing on the internal and external forces that influence and shape the countries foreign policy decisions today. 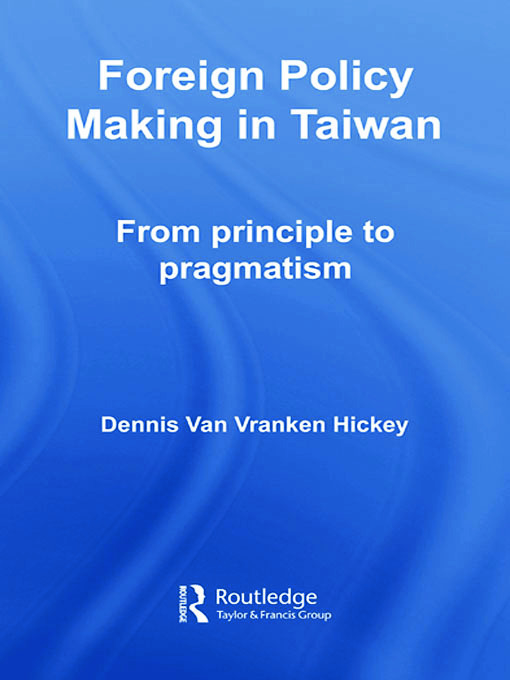 The author suggests that four levels of analysis – the international system, governmental structure, societal forces and individual factors – pose some explanatory value when seeking to understand Taipei’s foreign policy behaviour. Taiwan’s foreign policy decision-making remains an extremely complex process involving many important variables. However the author’s detailed analysis reveals that external factors, particularly seismic shifts in global politics and the role of China and the US have had an extraordinary degree of influence over the island’s foreign relations. This book highlights these factors as important considerations that continue to play a critical role in shaping Taiwan’s foreign policy. Providing a clear analysis of the dynamics of Taiwan’s foreign policy, Foreign Policy Making in Taiwan is an important addition to the literature on Taiwan and will be essential reading for followers of Chinese politics, comparative politics and foreign policy analysis.